As distinguished from general photography, evidence photography must meet certain legal standards to be admissible in Court. The image must be clear and demonstrate without distortion that which it depicts. To be admissible in Court, photographic evidence must be authenticated by the photographer via testimony. 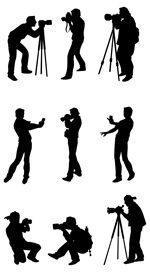 The photographer should be prepared to testify as to the conditions present, as well as the equipment, film speed, etc. used to obtain the evidence. There should be no marks made on the front of the image. The rear of each photograph is initialed and dated by the photographer for further identification. Finally, the chain of evidence must be preserved from the time the photo was taken until its entry into evidence in Court. Investigator David B. Watts, Principal Investigator at Allied Business Solutions, has been photographing evidence and presenting those photographs in Court and at depositions for over 30 years.